The ruling party, All Progressives Congress (APC), and the main opposition party, the Peoples Democratic Party (PDP) may have kick-started their campaigns ahead of the 2019 general elections, as both parties boasted at the weekend to capitalise on each other’s weaknesses in wooing voters at the forthcoming election. For the PDP, members said they would present to Nigerians the failure of the APC-led government to deliver on its promises as a reason for the electorate to reject them and bring the former ruling party back to power in 2019. National Chairman of the APC, Chief John Odigie-Oyegun, said the party was confident it would defeat the PDP because its selling point would be the alleged mess the opposition party made of governance while it was in power for 16 years. Oyegun, who spoke with New Telegraph in an exclusive interview, said Nigerians would be reminded of how decadent the economy was before APC took over from PDP in 2015. According to Oyegun, there would be no reason why Nigerians would want to return to the years of impunity and brazen misappropriation of the nation’s commonwealth by a few individuals. The APC helmsman said that the major achievement of the party has been clearing the mess left by the PDP, adding that before the 2019 general elections, the party in power would have fulfilled a lot of its promises to Nigerians and would present same to them. His words: “Well, we are only at the mid-term and we still have another two years or one year plus for the effect of APC policies to fully manifest. And as they manifest, we have no doubt at all that our stock with the public will continue to grow and continue to improve. “The beauty of what is happening is that the public recognises that we had a difficult challenge; the public recognises that the economy and the nation were virtually run aground; bankrupt. The public knows this, but they would still complain because there is a bit of hardship in the land. The APC national chairman said the efforts of the Buhari-led government would soon be bearing fruits after years of damage of the PDP government. “So, we are mixing so many things. The people know that the APC is working on over-drive to rebuild the ruins of the economy; to create an economy that is dependent on what we produce; to create an economy that can even export some of what we produce; an economy that would be making impact on the people of the country. They know it and it has started to manifest. “Just to mention one, agriculture. This year, we are becoming self-sufficient in the crop which everybody wants to eat – rice – and by next year, we would be talking about the same in other grains, tubers (cassava, yam, etc). So, agriculture is going to be a major selling point because by the time the elections come, the situation in the country would have been eased or changed and the same goes for infrastructure. “By the time we come for elections in 2019, everybody would see the progress being made by APC government. Some might not be completed, but the Lagos-Ibadan axis would be a major real railway network of the nation. The impact will also manifest. Some of the lines may not be running, most would be running. People will see the works that are being done and the expenditure would, of course, go round the economy of the nation. “We have everything to be hopeful and depend on. We will campaign on our reports and remind people of the mess that this country was in. 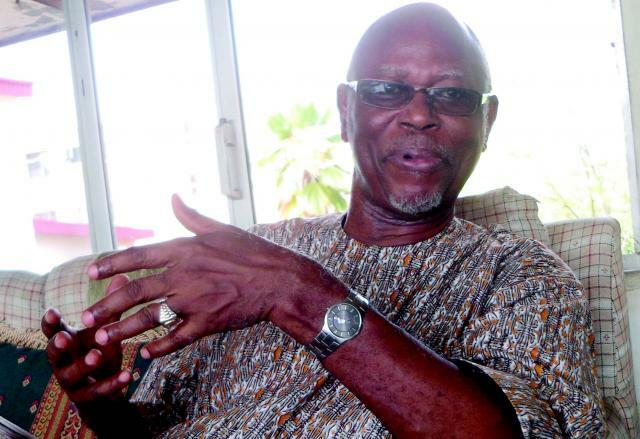 That is why we are confident that we would win 2019,” Oyegun said. But in a counter argument, the PDP said that it will not only be presenting a stronger posture at the next elections but was poised to defeat the APC in 2019. Governor of Ekiti State, Mr. Ayodele Fayose, who disclosed the campaign strategy of the PDP in an exclusive interview with New Telegraph, said that the party’s campaigns would be centred on how the APC had failed Nigerians by ditching all the promises it made to them in the build up to the 2015 polls. He enumerated the failures of the APC to include its inability to restructure Nigeria as captured in its manifesto and pronounced by its leaders during the electioneering for the 2015 polls. Fayose dismissed the claims by the APC of rebasing the economy and making progress in governance in the last two years. According to the governor, there is no promise made by the APC during the campaigns leading to the 2015 general elections that has been fulfilled by the party. “APC came to power with promises such as restructuring Nigeria, but today what is the situation? Promises of drastically bringing down the exchange rate of the naira to the dollar; promise of giving Nigerians stable power supply; promises of creating jobs for the teeming Nigerian youths; promises of giving security and more were made by the APC government. These promises were not kept and many more persons have died under the watch of this government than during the 16 years of PDP government. “The economy was moving with foodstuffs affordable to Nigerians with $1 to less than N200 exchange rate. But the APC government came with the lies that they can do better and destroyed all and brought the economy to its knees. We will bring all these to the fore of Nigerians when the time comes. “The issue of restructuring that the APC is looking the other side today was one of their strongest campaign points for the 2015 general elections. We will tell Nigerians that it would be wrong to entrust this country back into the hands of people who don’t keep their words,” Fayose said.